The USD appreciated during the week against major pairs. The currency got a boost from the release of the minutes from the January Federal Open Market Committee (FOMC) meeting. The brief statement was slightly hawkish, but the full notes from the meeting revealed the US central bank upgraded its economic projections from those made in December and expects the 2 percent inflation target to be met in the mid term. The meeting marked the end of the Janet Yellen era at the helm of the Fed, Jerome Powell will chair the central bank with his inaugural testimony in Washington on February 28 at 8:30 am EST. The EUR/USD lost 0.83 percent during the week. The single currency is trading at 1.2306 after the notes from the European Central Bank (ECB) and the U.S. Federal Reserve policy meetings in January were released. While the Fed added more details to its hawkish statement the ECB continued to signal inflation in the Eurozone is not strong enough to normalize its monetary policies. The governing council is not taking off the table that this could not change soon but are worried about the market’s reaction. Communication has been an issue for the ECB and not all the kinks have been worked out as the market expects a reduction in stimulus, but the majority of ECB members see this as premature. Fed Chair Powell will present the Semiannual Monetary Policy Report before the House Financial Services Committee and will take questions. 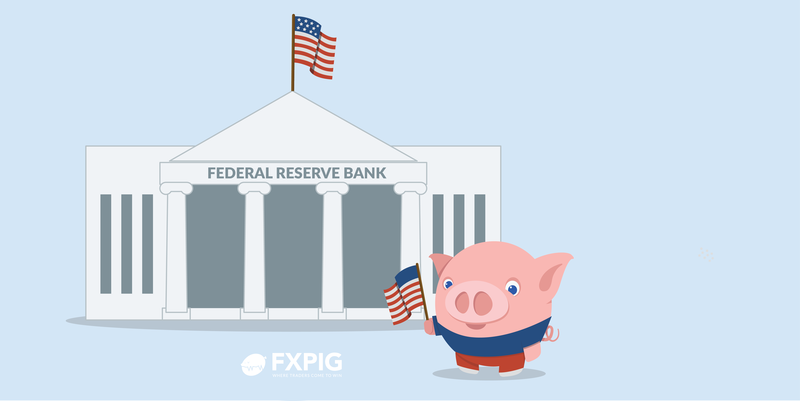 The Fed is expected to lift interest rates at the March Federal Open Market Committee (FOMC) meeting and investors will be following Powell’s testimony for clues about the Fed’s rate hike path. European Central Bank (ECB) Mario Draghi will also be active during the week when he testifies before the European Parliament Economic and Monetary Affairs Committee. The EUR has appreciated during the start of the year as European growth expectations could finally be at a point where the ECB feels confident scaling back its stimulus program. With US growth and higher interest rates already priced into the USD the EUR had more upside, but as the ECB hesitates to signal a clear end to its QE program and higher rates in 2018 the single currency could suffer. Fed members were in full force during the week picking up on the trends set down by the FOMC minutes. Growth projections have improved and fiscal policies are anticipated to have a short term positive effect. The CME FedWatch tool is showing a 83.1 percent probability of a rate hike during the March 21 Fed meeting. The USD/CAD gained 0.79 percent during the last five trading days. The currency pair is trading at 1.2684 on Friday after the higher than expected consumer price index (CPI) released at 8:30 am EST. Inflation in Canada was 1.7 percent in January a slowdown from the 1.9 percent reading in December, but is still posting to an upward trend in consumer prices. The Bank of Canada (BoC) hiked interest rates three times in 2017 and with inflationary pressures it is expected to hike another three in 2018. Disappointing retail sales in December and other economic indicators have weighed more heavily on the loonie than the higher oil prices that have remained above $60 per barrel despite the present threat of higher production from Canada, Brazil and the US. Higher inflation provided a breather for the CAD as it regained some ground versus the USD appreciating 0.39 percent, but not enough to end on a positive note for the week. NAFTA uncertainty still weighs heavily on the Canadian currency with the trade pact renegotiation still with little to show for it as the end of the talks is fast approaching and with elections in Mexico and the United States the trade deal could be further politicized further complicating a three way agreement this year. Negotiators being the second to last round of talks in Mexico city on Feb 25 until March 5. Oil prices rose in weekly trading for a second week in a row. West Texas Intermediate is trading at $63.69 on Friday. Weekly inventories in the US surprised with a a drawdown of 1.6 million barrels when the forecast called for a rise in crude stocks of 1.9 million barrels. The main factor keeping prices at current levels is the anticipated ramp up in production from US shale companies. Demand for the black stuff has not kept up with supply which is what caused the commodity prices to free fall three years ago until the Organization of the Petroleum Exporting Countries (OPEC) got together with major producers to sign an agreement to limit production. The timing has not worked out for US shale with weather factors holding back higher rig counts. The softer dollar in the beginning of 2018 also contributed to higher oil prices, but as the greenback is finding its feet as fiscal and monetary policy aligns for higher growth it could also weigh on the price of crude.